We're reaching the end of National Poetry Month, and to close out I'd like to tell everyone about an ebook that is available from Amazon for 99 cents! It is PoetryTagTime! and it features previously unpublished poems by 30 children's poets. 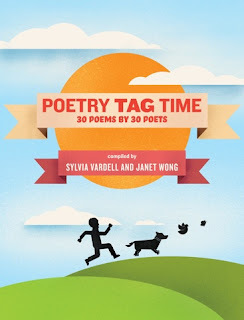 The anthology is compiled by Sylvia Vardell and Janet Wong. If you're thinking, "I don't have a Kindle, so I won't be able to read it." Let me assure you that the book is readable on your computer and is easy to download--I know, because I did it myself at home. Teachers will love having it available to project in front of a classroom! The poets represented include the most popular of children's poets such as Jack Prelutsky, Nikki Grimes, Lee Bennett Hopkins, Jane Yolen, X.J. Kennedy, Paul B. Janeczko, and Mary Ann Hoberman. Also included are poets whose names may not be familiar to you. Books by many of these "lesser-knowns" are found on our shelves and I'm sure you'll want to borrow a few after you've read their PoetryTagTime! contributions. From here head over to Tabatha Yeatts' blog for the Poetry Friday Round-Up. You may be familiar with children's picture books by Maine writer and photographer, Bruce McMillan, but, many years ago he also published some books for adults on visual punning, Punography and Punography Too [both 779 MCM]. Check them out, they're fun and mentally challenging! A visual pun is a pun involving an image or images (in addition to or instead of language). Can you figure out this pun? Answer below. 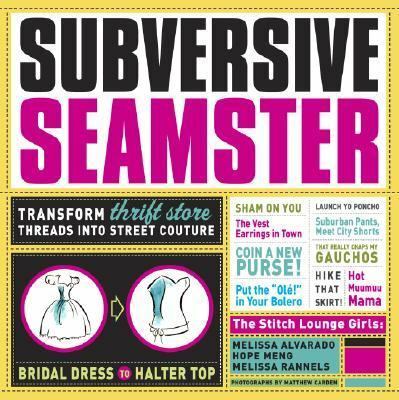 Over recent years a number of websites devoted to visual punning have sprung up. Here's one titled Literal.ly. Many more can be found by doing a Google search and using "visual pun" as your search term. Answer: iPod (eye pod). Photo by Rachel Holkner. Five billion what? Pizzas! 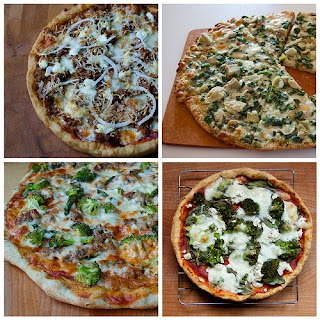 Five billion pizzas are served every year. That's a bit of information I gathered from an online history of pizza found on a site devoted to "field trips" for kids, Meet Me at the Corner. All sorts of topics are covered such as weather forecasting, the history of the ukulele, being a zookeeper, etc. Speaking of pizza...if you're looking for something to do with the kids this vacation week, you should make pizza. Who doesn't love pizza? 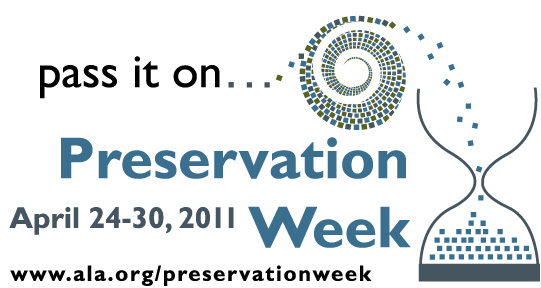 April 24 through 30 has been declared Preservation Week. 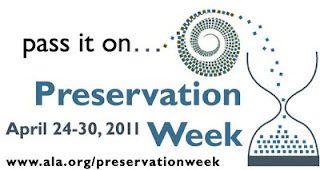 It is a week devoted to the idea that library collections, family heirlooms, photographs, etc. deserve to be preserved. It is quite an extensive site covering what needs to be preserved and how to do it! There is a nearly hour long video you can watch, too. Click here. 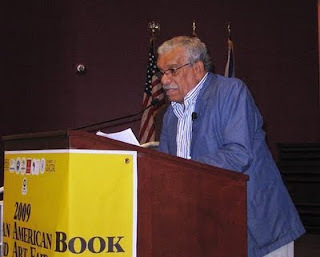 White Egrets: Poems by Derek Walcott [811.54 WAL], is a slim volume with many numbered, but otherwise untitled, poems. Being a cat person, I was particularly attracted to poem #2.
their shapes, re-fit them. Breakers spread welcome. how salted things only increase its thirst. I like the way the poem seamlessly slides from cats to the Caribbean to the heart. Visit Book Aunt for this week's Poetry Friday Round-Up. For those of you with a sweet tooth, help is on the way! The Easter Bunny is nearly ready to go! To help your kids pass the time until all those Peeps® and chocolate-covered peanut butter eggs show up, try a little bunny origami. There are many how-to-origami rabbit videos on YouTube, but this one makes a hopping rabbit, and it uses a plain old 3 X 5 card. If you enjoy the challenge of origami, we have books in both the adult and children's sections. Look for the Dewey number 736.982. 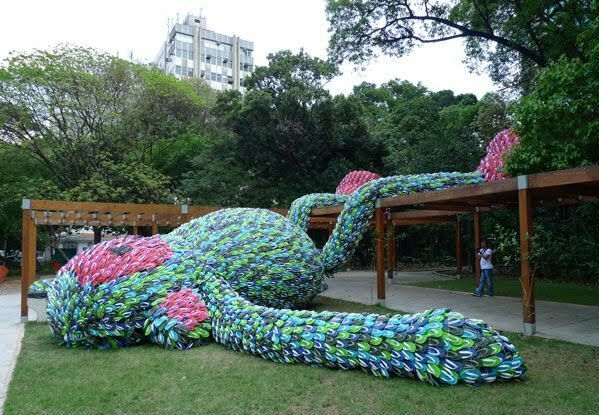 Photo of the flip-flop monkey courtesy Inhabitat.com. New Hampshire is lucky to have several humorists. One of them is a former children's performer, Ken Sheldon. [We had Ken entertain Nesmith kids several times in the past (look for his CD, Ice Cream Soup in our children's collection).] Now Sheldon entertains adults under the persona, Fred Marple from Frost Heaves, NH. Here's Fred with Yoga for Yankees. Tonight at 8:00 there will be a one-hour documentary shown on NHPTV (channel 11)-- Mother Nature's Child. I believe everyone should watch it! One of our 21st century "ailments" is "nature-deficit disorder." In other words, our kids spend too much time indoors in front of electronic devices, or, if they are outdoors, it's only as part of an organizational sports activity that does not allow a child's interaction with the natural world. Truthfully, when was the last time you went outside simply to commune with nature? Nature deprivation has become prevalent over the past few decades and it has led to several books that explore the topic such as Richard Louv's Last Child in the Woods: Saving Our Children from Nature-Deficit Disorder [155.418 LOU] and Nicholas Carr's The Shallows: What the Internet Is Doing to Our Brains [612.8 CAR]. The following books may help to resolve the problem: Jennifer Ward's I love Dirt! : 52 Activities to Help You and Your Kids Discover the Wonders of Nature [FT 796.083 WAR], The Wild Within: Adventures in Nature and Animal Teachings [508 REZ] and Tracking and the Art of Seeing [599 REZ] both by Paul Rezendes, and Joseph Cornell's Sharing Nature With Children [372.3 COR]. This week is officially National Library Week, so, I thought we should celebrate with a library poem. Another favorite is "Branch Library" by Edward Hirsch. I did a P.F. post on it last year. The following is from the title poem of Please Bury Me in the Library by J. Patrick Lewis [J 811.54 LEW]. 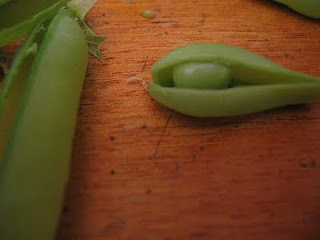 From here, head over to Random Noodling where I'm hosting the Poetry Friday Round-Up. I'm taking the day off from work so that I can devote my full attention to the Round-Up, with, perhaps, a little time out to finish my income taxes. Yesterday libraries around the state gathered statistics about, and took photos of, a typical day at the library. 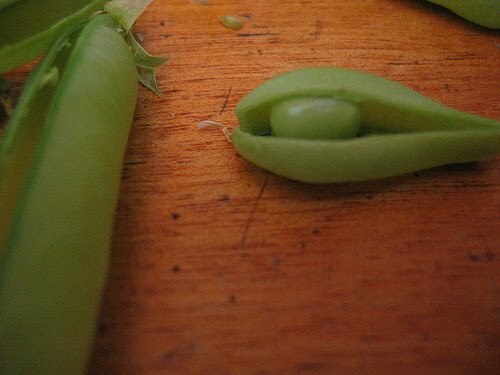 Photos can be seen at www.flickr.com (use NHsnapshot for a search term). 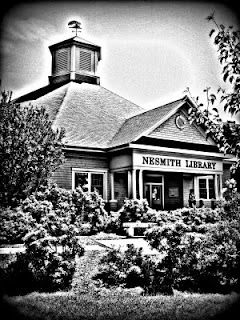 I've made a slideshow of Nesmith Library's typical day. If you put your cursor over a shot, you'll get the description at the bottom. Enjoy! We're coming up on prom season. 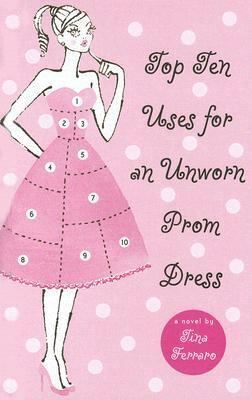 If you're a teen, the prom can be one of the most fun, and the most stressful, events of your high school career. Imagine adding to the stress the fact that you, and/or your parents, have no financial means to make your prom wishes come true. That's where The Cinderella Project of New Hampshire comes in. The Cinderella Project is a non-profit organization that collects donations of new and "gently worn" formal dresses and accessories and donates them to financially disadvantaged high school students in New Hampshire so they can attend their high school formal occasions in style. Even if you're way beyond your prom years, you can feel a little prom joy by making a contribution to the Cinderella Project. If you have it within your means to do so, click here. Interesting video and poem, isn't it? To speak with conviction it is generally necessary to back up your assertions. You may be passionate emotionally about an issue, but I don't think it's enough. The lasting impression you make may not necessarily be the one that you wanted! Even if you're not interested in public speaking, I'm sure the books on that topic, found in the 808.5 section, can help you in preparing for when you're writing a letter of complaint, talking to a social service provider, or even leaving a comment on an online news site. Look for The Speaker's Handbook by Jo Sprague [808.51 SPR], then review the sections on "Organization" and "Development." Oh, No, We Missed It! We missed celebrating World Book Day on March 3. I only just found out about it, so it's not like I ignored it. But, it is a uniquely British undertaking, "the UK’s largest celebration of books and reading," so there isn't a lot that's for American booklovers, except for the supplementary information and activities to be found on the website. Definitely take a look around the website! On the news page is information on teen readers including the "Top ten book characters that teenagers today would most like to go on a date with." There are book trailers for the "Beast Quest" series for Brian Blade [J BLA], which we have in the children's room. Little kids can have fun coloring the various pages found under "pre-school resources." They can also make Kipper finger puppets using the template provided. We have a number of the Kipper books by Mick Inkpen in our collection [JP INK] including Kipper's Book of Weather, Kipper's Sunny Day, and Kipper's Toybox. We have several Kipper videos in VHS format [J VIDEO KIP] and we're looking to replace them with DVDs shortly. The mouse character, Maisy, created by Lucy Cousins, is the star of Maisy Drives the Bus, Maisy Goes to the Library, Maisy's Rainbow Dream, and many, many more books [JP COU]. There are several activity sheets on the World Book Day site, including Maisy's Easter Egg Holders, which is perfect for this time of year! Poetry Friday--"Monadnock in Early Spring"
This is an interesting time of year--one day it's snowing, the next we're wearing shorts, and on a third we're shrouded in fog. But, no matter what the weather, New Hampshire is always interesting, if not downright gorgeous! I'm ready to burst out walking. With all the snow piled up this winter, there was never any place to walk. 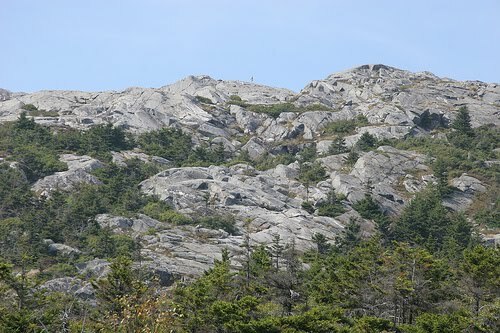 I just may borrow The New Hiking the Monadnock Region: 44 Nature Walks and Day-Hikes in the Heart of New England by Joe Adamowicz [917.429 ADA] and watch the "trees flush with expectancy" one of these fine spring days! The Poetry Friday Round-Up is being hosted by Madigan Reads. Madigan is a librarian from Georgia. Image used courtesy Brian Dettmer © 2010, all rights reserved. 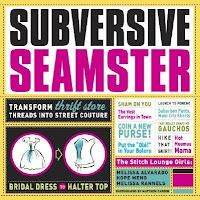 If you'd like to try a book art project of your own, pick up Alter This! 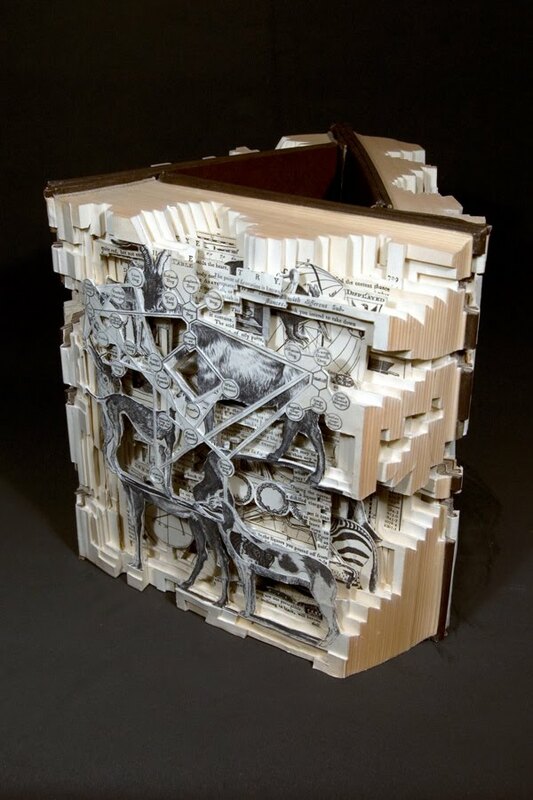 : Radical Ideas for Transforming Books into Art by Alena Hennessy [YA 745.593 HEN], or one of our titles under the subject heading "Altered books." This Saturday, April 9, from 9 to noon, the 4th Annual NH Family Literacy Day is taking place at the Merrimack Valley Middle and High Schools in Penacook. The day is sponsored by the Granite State Council of the International Reading Association and will include free books, food, lots of special activities such as building bat houses, and visits from special guests, WMUR's Kevin Skarupa, the New England K-9 Search and Rescue Dogs, and the Easter Bunny! It sounds like a fun day, and who would want to miss an opportunity to meet "Rosy" the Pot Bellied Pig? There is no admission charge, and parking is free! Let your children know how important it is to read. The easiest way to do that is to let them see you read! Don't save your reading until late at night before you go to sleep and when they're asleep! 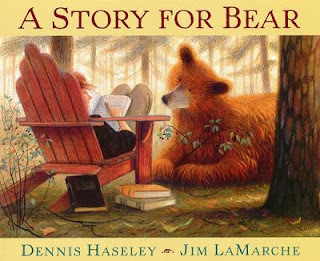 Here are a few books that show kids that reading is important, not just to kids, but to lions, old folks, and bears, too! With the help of two animal fishermen, a young winged lion learns to read, to love books, and to fly properly. A young bear who is fascinated by the mysterious marks he sees on paper finds a friend when a kind woman reads to him. Harry sits on the porch with Mr. George Baker, an African American who is one hundred years old but can still dance and play the drums, waiting for the school bus that will take them both to the class where they are learning to read. Put a Little Color Into Your Life! I came across the Let's Colour Project last weekend, and I think they're really on to something! A mission to spread colour all over the world. It’s the beginning of a colour movement that everyone can join in. Of course, it's sponsored by a paint company, but still, it's a great idea to brighten up some of the drab features of our man-made world. You know what I mean--plywood covered windows and cement block walls! For the past 25 years or so, dollhouse most often meant "Barbie Dreamhouse." 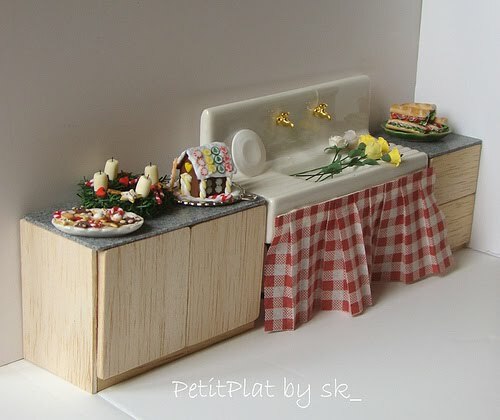 The hobby of dollhouse making took a backseat to the production of pink plastic palaces. Dollhouse makers persisted, and nowadays, the dollhouse has gone beyond the dreamhouse to doll homes that might have come out of its maker's nightmares! A Frida Kahlo dollhouse, is one example, check it out here. As with every hobby, there's an association to go along with it. The National Association of Miniature Enthusiasts is one for dollhouse makers. Poetry Friday--A Fool, a Fool! Since today is April 1st, otherwise known as April Fool's Day, I thought I'd share a bit of Shakespeare. This is from As You Like It, Act II, Scene 7. In good set terms and, yet, a motley fool. "Call me not fool till heaven hath sent me fortune:"
The play can be found in any number of collections in 822.33 SHA. There is a BBC version [DVD 822.33 SHA], which is part of "The complete dramatic works of William Shakespeare" series, and Kenneth Branagh's version is found with the major studio films [DVD AS]. I'm getting off track a little here, but I just finished The Weird Sisters by Eleanor Brown [F BRO]. It's a novel about three sisters from a family that is always quoting Shakespeare. I liked it and I recommend it highly! Amy at The Poem Farm is hosting the Poetry Friday Round-Up, so make sure to stop by to celebrate the beginning of National Poetry Month!